When purchasing new bath towels, there are a few key factors to keep in mind. Obviously, the main thing to look for in a towel is good absorbency. 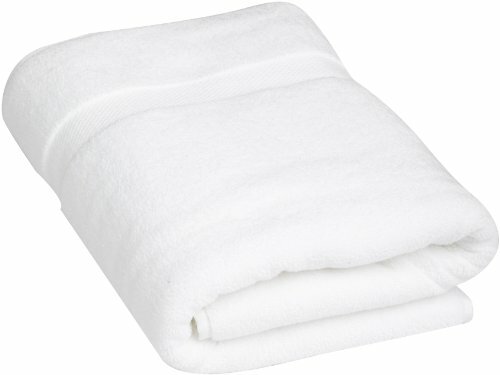 For drying wet bodies, cotton towels work the best and the most absorbent cotton weave is terry. Most bath towels of superior quality are made from long, cotton fibers that can be found in Brazilian or Egyptian cotton, or Supima cotton found here in the United States. When choosing the best bath towel, look for those that feel soft and velvety and avoid those which feel rough and scratchy against the skin. Check to see if the fibers stand up as opposed to lying down. Keep in mind that a good quality bath towel should hold around four times its weight when wet. Make sure to purchase the correct size towel too, and if you prefer an extra large bath towel, consider buying the extra big towels called bath sheets. The higher the quality of the bath towel, the more you will expect to pay. Over time, this is actually more economical than paying less for cheaper bath towels which will need to be replaced more often. Most people expect to get a one year minimum for a towel, with the average longevity being around five years. To keep the towels lasting longer, avoid using chlorine bleach as this wears them out faster. Also, you may want to use dryer balls as opposed to fabric softeners on your towels, because the fabric softeners can interfere with the natural absorbency of the cotton, making them less absorbent. It is also highly advisable to launder new bath towels before using them. Drying towels in a clothes dryer will also make them softer and fluffier than line drying. 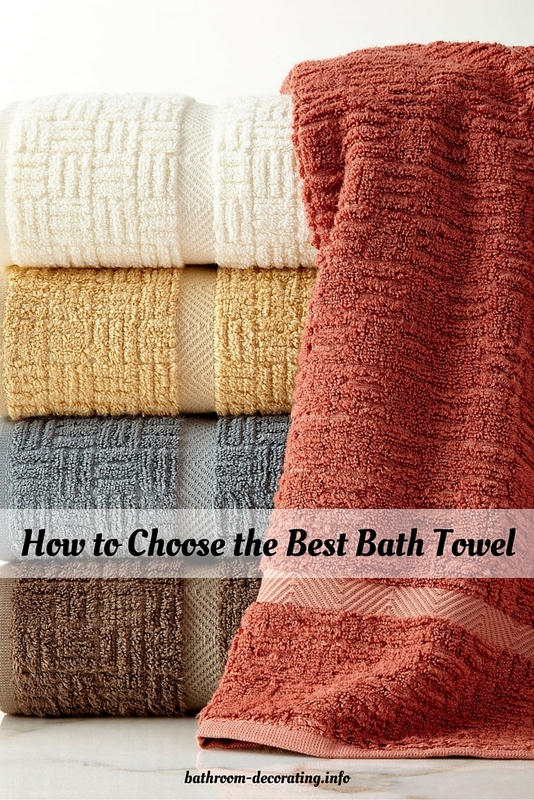 Let’s take a look at some towels considered to be popular choices for the best bath towel on the market. Examples are given for how to choose the best bath towel in various price ranges to fit any budget. A quality bath towel in the less expensive price range, the Lasting Colors Cotton Bath Towel by WestPoint Home is a great choice. These can be purchased at Bed, Bath & Beyond for $5.99. Soft, absorbent 100% cotton towels that will hold color and resist fading through up to fifty washings with bleach. (As previously stated, bleaching is not recommended if you wish to keep the towels around for a few years.) Available in eight attractive colors, these bath towels can be purchased in the regular towel size of 30 x 54 inches, or in a bath sheet size of 35 x 68 inches. 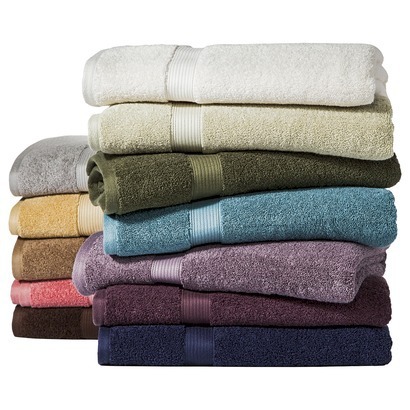 Amazon also offers an affordable choice in their Amazon Basics towel line (shown above) . You can a buy 6-piece towel set includes (2) 54×30-inch bath towels, (2) 28×16-inch hand towels, and (2) 12×12-inch washcloths for $17.99. These are great for new college students or young couples moving into a new home. Amazon offers the Pinzon Luxury 820 gram cotton towel, made from 100% cotton terry, made in Turkey. Priced at $20.99 each, these towels come in six attractive colors. 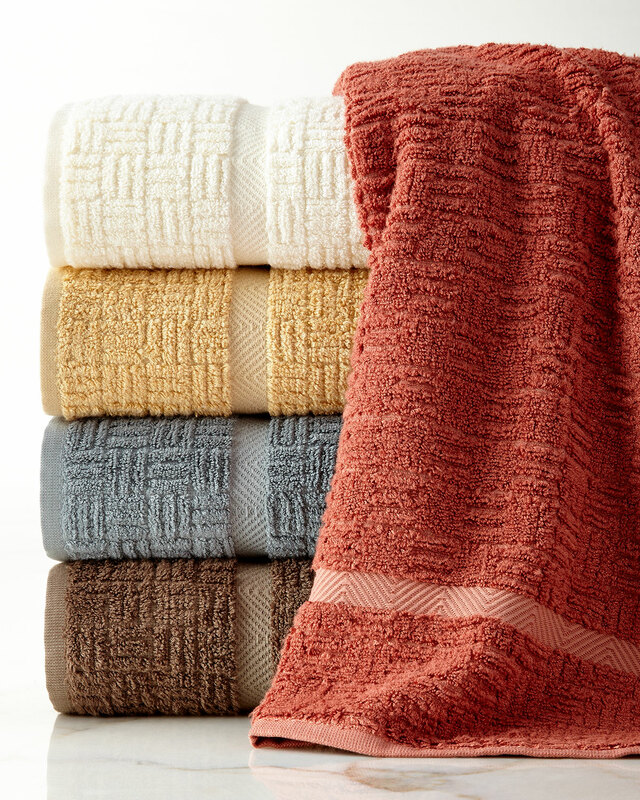 These towels feature densely woven loops and 2-ply yarn. Towels measure 30 x 56 inches. Also available from Amazon is the 1888 Mills Luxury Cotton bath towel, made in Africa of 100% African cotton. Constructed of 2-ply, ring spun, combed cotton to provide a soft feel and longevity. Towel measures 30 x 58 inches and is priced at $19.99. 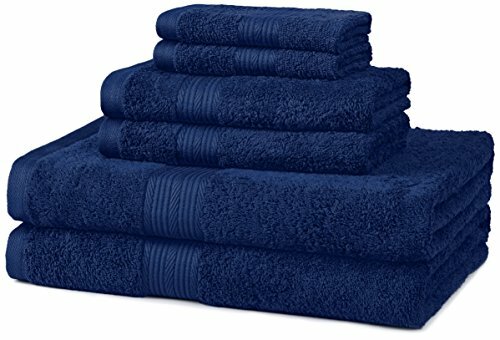 If you’re willing and able to spend a bit more for luxury towels in the $25 or higher price range, here are some of the top picks. Pottery Barn offers their Hydrocotton Bath Towel for $24.99. This 28 x 55 inch towel is offered in five colors and uses an advanced weaving process that makes these towels much more absorbent than most 100% cotton terry towels on the market. Available in bath towel size of 30 x 58 inches, and bath sheet size of 40 x 62, L.L. Bean offers Premium Cotton hotel quality towels in eight attractive colors. Treated to resist discoloration and fading, these towels a dense loop construction that is extra absorbent and resistant to pilling. The towels are made in Turkey and sell for $27.50 each. If you want to experience the ultimate in bath towels, equivalent to a spa or luxury hotel towel, then your best choice is to go with the Nandina Savari Bath Towel from Neiman Marcus. These are the best of the best, and you can also find other hotel quality towels and linens to match. Pamper yourself with these bamboo rayon and organic cotton towels sized 28″ x 55″ for the full treatment.